We offer a range of payment options for students, which can be viewed on each course webpage. 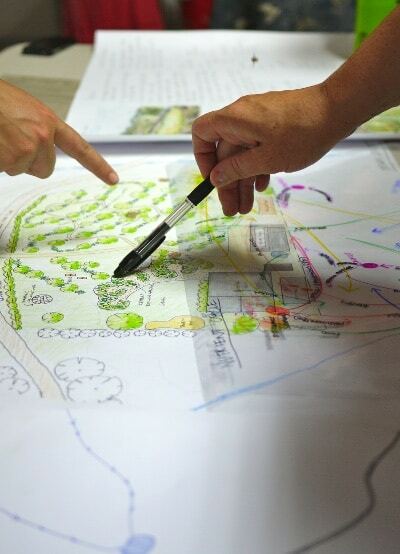 Unless otherwise stated on the course webpage, earlybird prices and deposit options (Permaculture Design Certificate only) are available up until 8 weeks before the course start date. If you chose the deposit payment option, your balance of payment is due 4 weeks before the course start date, for which we will email you an invoice. If your balance payment is not received by 2 weeks out from the course start date, your booking will be cancelled and your deposit forfeited. We offer earlybird discounts on some courses for people who commit to booking at least 8 weeks before the course start date. These discounts are only available for purchasers who make their payment in full and upfront at the time of initial purchase. We offer group discounts and bundle discounts on some courses. These discounts are only available for purchasers who make their payment in full and upfront at the time of initial purchase. The group discount is not available if you choose to add an additional attendee to a course at a later date. The bundle discount is not available if you choose to add-on an additional course at a later date. From time to time Milkwood offers special promotional codes that can be used to receive a discount off the ticket price. Promotional codes must be applied at the time of enrolment and cannot be applied retroactively. Full refunds attract an administration fee of $50 per ticket. A transfer to any other face-to-face course on our website. In the case of a transfer the amount you have already paid is applied towards the new ticket, any money due must be paid at the time of the transfer. Any remaining credit can be refunded (attracting a $25 administration fee) or applied to another course ticket. Refunds and transfers are not available within 14 days of a course’s commencement date. We are happy to switch your ticket to another person’s name at any time.